Since the launch of second-line regimens in SSA, outcomes of large-scale national ART programmes were assessed only in a few studies [8–13]. Botswana and Rwanda are two countries in SSA achieving the highest ART coverage > 80% [1, 2]. Of the estimated 220,000 PLHIV in Rwanda, 175,398 (80%) were receiving ART by December 2016 . 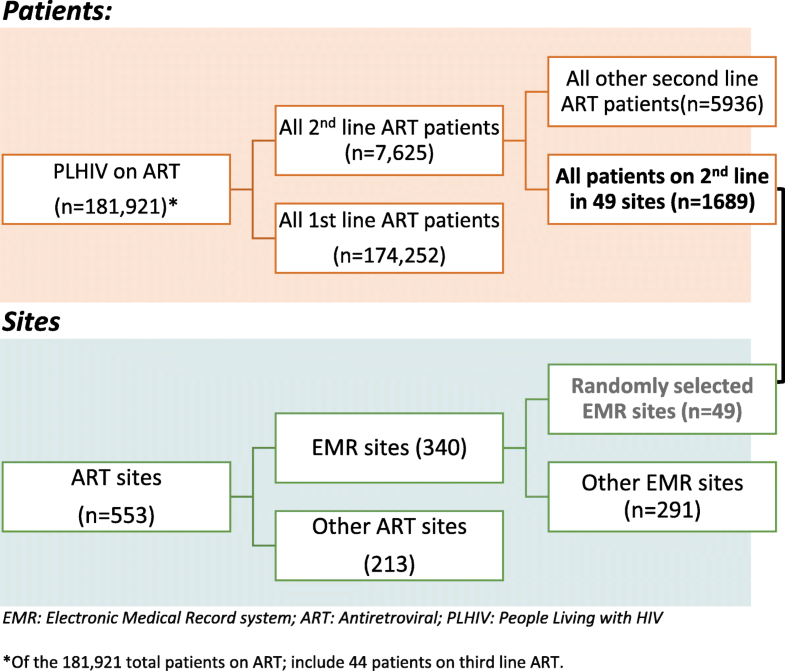 Rwanda, for example, has demonstrated a high rate of patients on first-line ART (> 90%) . Similarly, the number of patients on second-line ART in Rwanda has also increased substantially in the last decade from 388 patients in 2007 to 7625 by the end of December 2016, representing ~ 4% of all patients on ART. Given this progression, the purpose of this study is to assess the outcomes associated with the rapid expansion of second-line ART access in Rwanda . Our study identified key factors associated with defaulting from care: initiating at higher viral loads, low CD4 cell count, less clinical engagement, and time of treatment switch. Other studies from SSA and Asia have investigated predictors of attrition in care [10, 19–22]. Across many settings, loss to follow-up on second-line patients was significantly higher among those with low CD4 cell count at baseline, and previously undiagnosed treatment failure on a first-line regimen [20–29]. Other findings in similar settings reported that advanced disease at initiation was associated with attrition on second-line ART, and is likely the result of mortality , as well as higher viral load and age . Studies from Malawi , Thailand  and South Africa  reported that adherence was the major determinant of treatment failure.